Plough Publishing House, 9780874868395, 272pp. 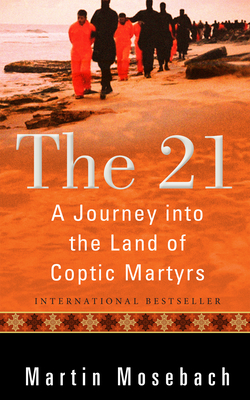 In twenty-one symbolic chapters, each preceded by a picture, Mosebach offers a travelogue of his encounter with a foreign culture and a church that has preserved the faith and liturgy of early Christianity - the "Church of the Martyrs." As a religious minority in Muslim Egypt, the Copts find themselves caught in a clash of civilizations. This book, then, is also an account of the spiritual life of an Arab country stretched between extremism and pluralism, between a rich biblical past and the shopping centers of New Cairo.